Another Land Survey gone wrong. I was hired to perform a survey of a Lot within a recorded subdivision. My contact was through the contractor who was building a new home on it for the owner. We discussed it and the owner of the land signed our contract to start work. We sent material in the contract asking for a copy of the title policy which the contractor eventually obtained from the owner and passed along to us. Everything went fine and we eventually staked out the building and the home was built on it. Approximately 1 month after our work was completed I received a panicked call from the contractor. Apparently the owner had decided to build a new pool behind the now completed house and the construction crew had struck underground utility lines when they began excavation. The contractor who built the home was saying that the Architect of the pool had a copy of a survey performed by another firm which the Architect was using for the pool design. The survey the Architect was using was performed for the owner of the property for the purchase of the land. That survey showed a utility easement at the very rear of the property where as my survey showed the utility easement directly behind the new house that had been constructed (about 40' of difference). I asked him where they were excavating when they hit the utility lines. When he told me I pointed out that this is exactly where I was showing the utility easement on my survey. The contractor was very relieved when it became apparent that is was the other survey that was wrong and not the one we had performed. He was not part of the new contract and this news meant that we were totally out of the loop of the new problem. He said he would talk to the Architect and ask if I would mind talking with him, I said fine. After several phone conversations through the Architect the owner hired me to prepare the necessary paper work to re-route the utility easement. The Architect has made it clear that this problem has cost the owner a fortune in construction delays and extra expenses, not to mention the fact that the owner has been unable to obtain an occupancy permit because of the delay in the pool construction. Until this matter is resolved with the utility easement the owner has a new home he can't move into. I advised the Architect to have the owner contacted me directly so that I could advise him on recovering damages from the other Land Surveyor. This was a simple mistake and probably a result of the Land Surveyor never looking at the recorded map record because the title commitment stated the utility easement was "at the rear" of the subject tract. It would not be fair if I did not mention that the land surveying firm that made this mistake is the same land surveying firm I have caught making a number of mistakes in the past. 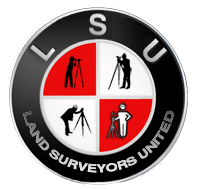 We have recovered our fees for our services from this land surveying firm at least twice in the past on behalf of our clients. I have signed at least one Affidavit of Merit against a Land Surveyor working for this firm. I also have to mention that the Architect has sent me a sketch of how they would like to re-route the utility easement which shows the new easement partially on a neighbor's land. I have sent him back a list of options to avoid this potential new mistake and as of this writing awaiting a reply. Sloppy work, or not doing the work to save money is a mistake. A Land Surveyor must operate with the highest ethical standards or face the consequences. If the firm you are working at as a Land Surveyor is not permitting you to operate ethically then you should withdraw.